I always try my best to write informative, unbiased reviews. But, when you love a product as much as we love The Pencil Grip, Inc, well...I just say I tried to remain unbiased haha! I saw Thin Stix 6pk of Classic Colors by The Pencil Grip, Inc. and I KNEW Mr. B would LOVE them! They are just like Kwik Stix, but a thinner version. 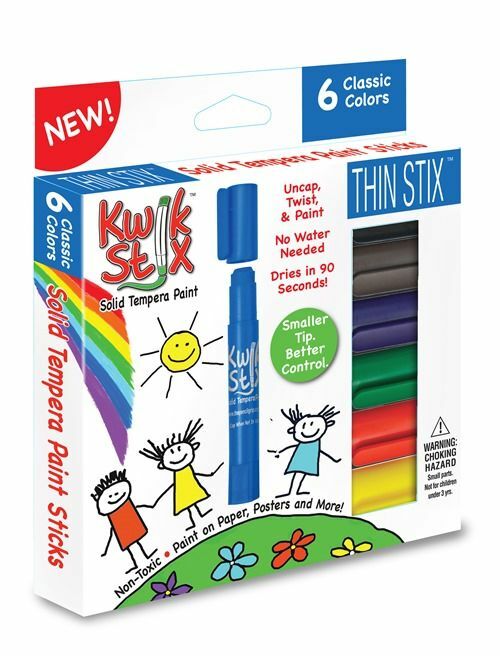 Where as the original Kwik Stix are more like glue stick in the way they feel in your hand, Thin Stix are more like markers. Thin Stix are solid tempera paint stix that dry VERY fast. They are great for kids with special needs who may lack the finesse to use a traditional paint brush. OR kids like Mr. B who like to sling a loaded paint brush back and forth the stim factor! These are not mess free, but they do dry quickly so they keep messes to a minimum. They are not washable, so use caution with good clothing or carpet. Mr. B LOVES these! He was so excited to get them, he had the package ripped open before I could even get a picture of it! 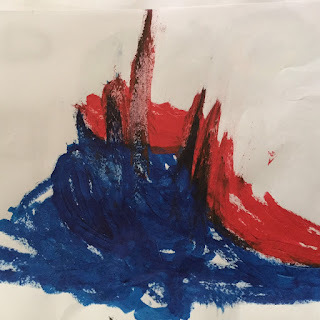 Within minutes he was well on his way to creating his masterpieces, as he calls them. Mr. B LOVES all things space and universe, and he loves weather. So he drew a lot of planets and radar images. Some of those planets were hung up on the ceiling, and he printed off brochures and such for "space tours." HAHA! He would take us to each planet and space object, tell us all about it, and then move on to the next. Here is a photo of some of the inner planets. For these, he actually mixed Thin Stix with regular markers. He also painted souvenir photos for our space journey. Here are photos of those! 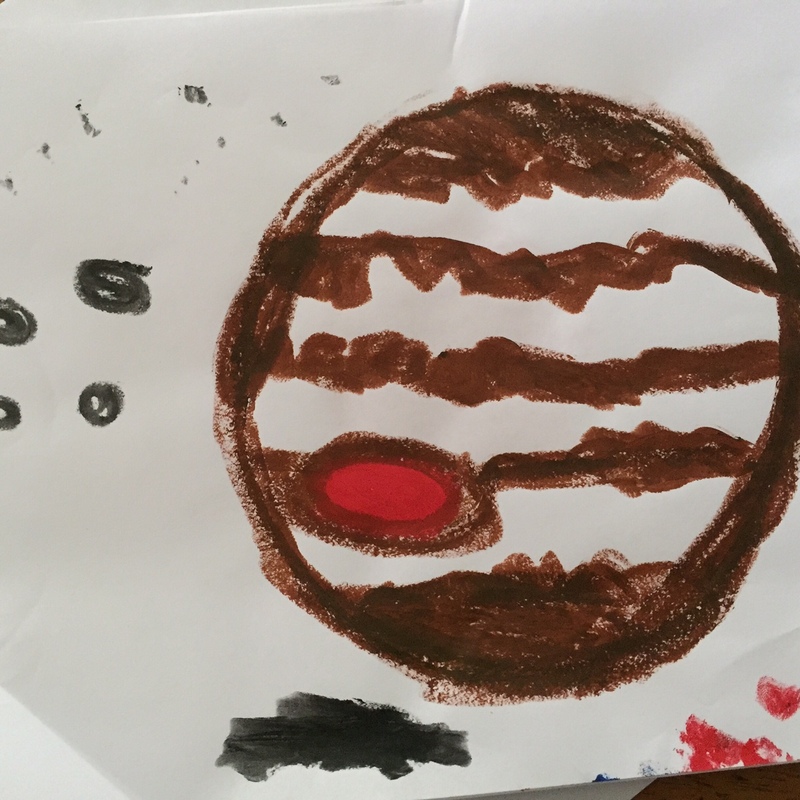 "Jupiter's Great Red Spot." Of course, we couldn't launch off on our great Space journey without knowing the weather forecast! Thin Stix also provided the radar images! I don't know about you, but that looks like a pretty ominous forecast! Overall, we've had a blast on this review! The Thin Stix are blendable, easily held in your hand, and the smaller point allows for greater control. They dry just as fast as the Kwix Stix, and store just as well. 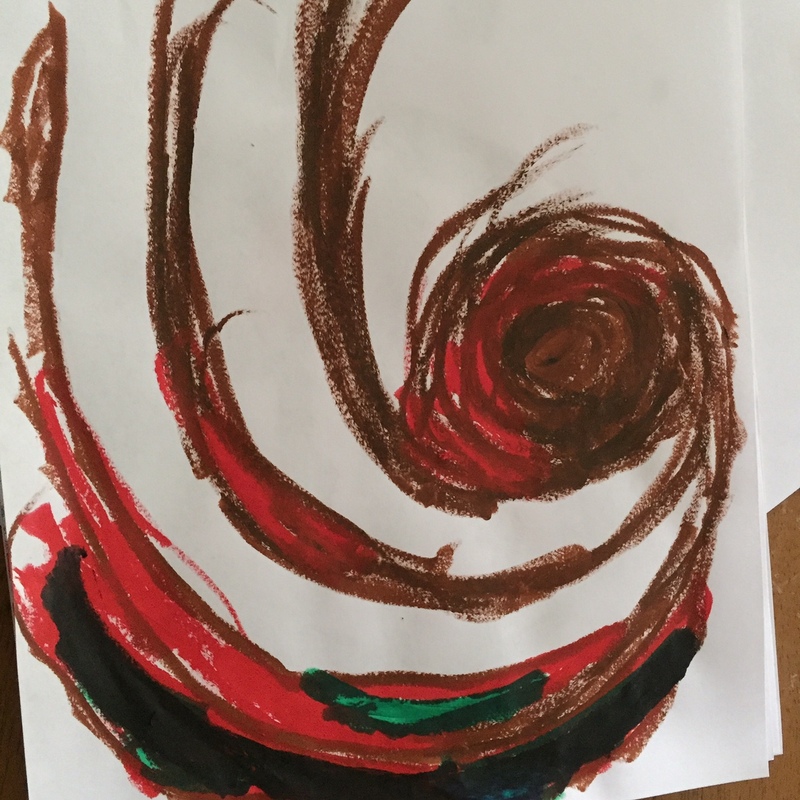 Brayden used up his favorite colors pretty quickly, but he goes heavy handed with them. I'd like to see a pack that has additional blacks in it, since he seemed to use that one the most. 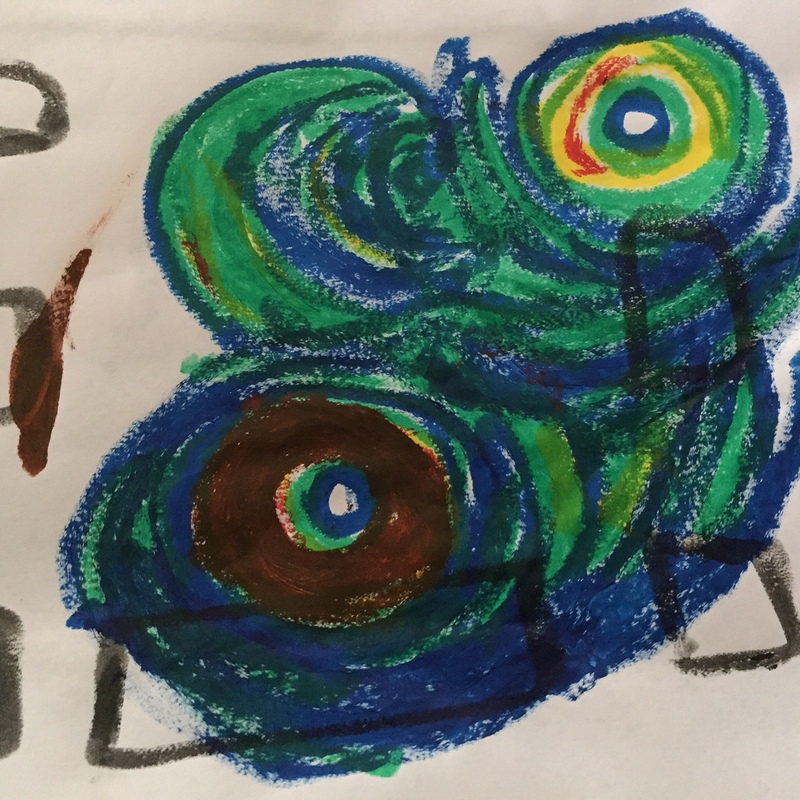 The colors were well balanced, and he never felt like he was missing a color in the pack. They DO offer other color pack combos, and we'd love to try those out next. Do you want to try Thin Stix on your own?! The good folks at The Pencil Grip, Inc. are offering a pack of the same Thin Stix we received for this review to the lucky winner of a giveaway hosted here on the blog! Does The Pencil Grip, Inc. Thin Stix 6 pk of Classic Colors Pass My 4 Ingredient Test? These are marker like in feel, and they dry in about 90 seconds. They are not washable and will stain carpet, so take caution there. If you have adaptations in place for fine motor skills, that should work with Thin Stix. These are GREAT to help refine fine motor skills! These are long lasting. They do not run out quickly, unless your child is like mine and decides to use them non stop for 4 days! HAHA! I can see people of all ages enjoying these! My son could use these all day, every day. Art always ties in with other things! As you can see, we used these for our science class! We hope you enjoy Thin Stix as much as we have! Please check out The Homeschool Review Crew for more reviews!